Made by Topgreen, beta tested by vapor experts and improved according to their specifications! 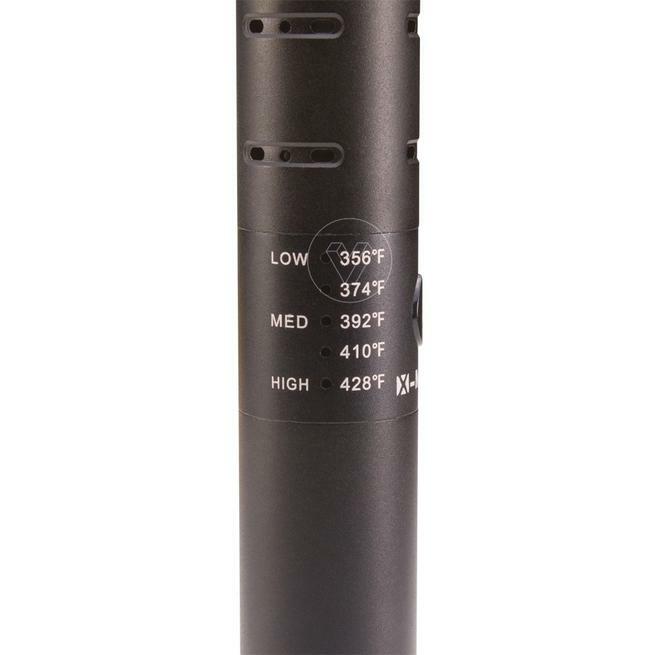 We are selling the latest model of the X Max V2 Pro Vaporizer which has all the updates included in the Storm Vaporizer including the Isolated Airpath and 5 minute auto shut off time as well as the updated simplified one button operation which was just introduced. One button operation allows you to choose from five temperature settings between 356°F and 428°F. 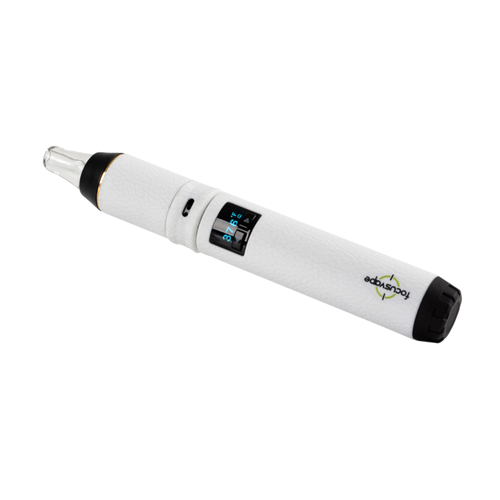 A ceramic heating chamber offers unparalleled performance in it’s price range by utilizing a long narrow heating chamber for even conduction vaporization. Heat up time is 45-75 seconds depending on selected temperature. 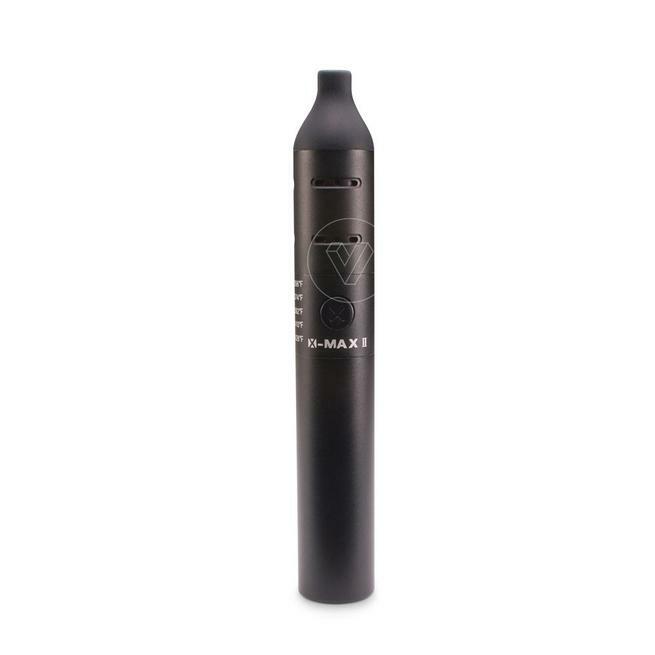 Safety was considered in the design of the X Max 2 vaporizer. Airpath is entirely sealed from the electronic components. Measuring 6.5” (16.51 cm) in length and .75” (1.9 cm) in diameter the X max v2 Pro is truly pocketable. 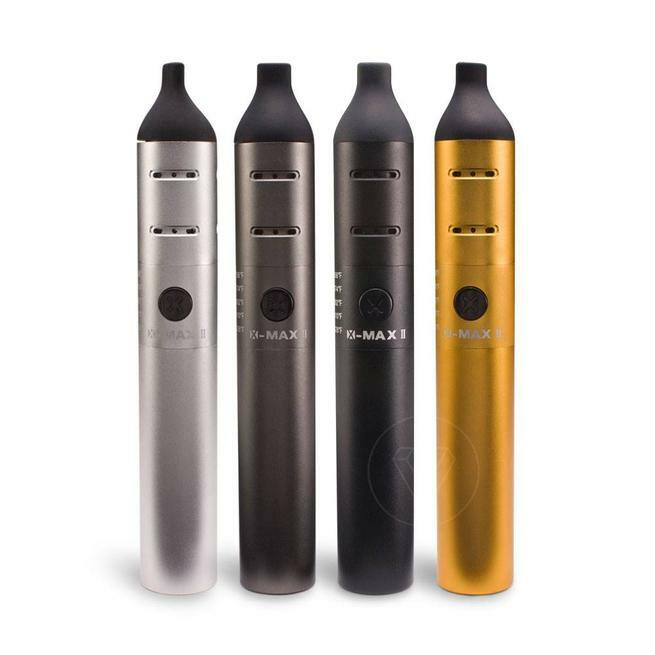 The X max v2 is constructed using quality materials featuring a ceramic heating chamber and a nickel shell in your choice of 4 colors. Use with dry aromatic blends, concentrates and liquids. Includes a crucible for use with liquids and concentrates so you have everything you need to vaporize your choice of material. The X Max 2 Pro comes with one rechargeable, interchangeable 18650 battery. Great battery life for on the go use. A full charged battery lasts 45-60 minutes and you can bring an extra battery along so your session doesn’t need to end. One of the lowest resistance portable vaporizers we have tested. So you are in control of how fast you draw. Cleaning the X Max V2 Pro vaporizer is easy. Just brush off the herb chamber and screens after use and use a Q-tip with Isopropyl alcohol if there is build up. One year warranty on the vaporizer, 90 day warranty on the battery and, like everything we sell, our 100% Satisfaction Guarantee. 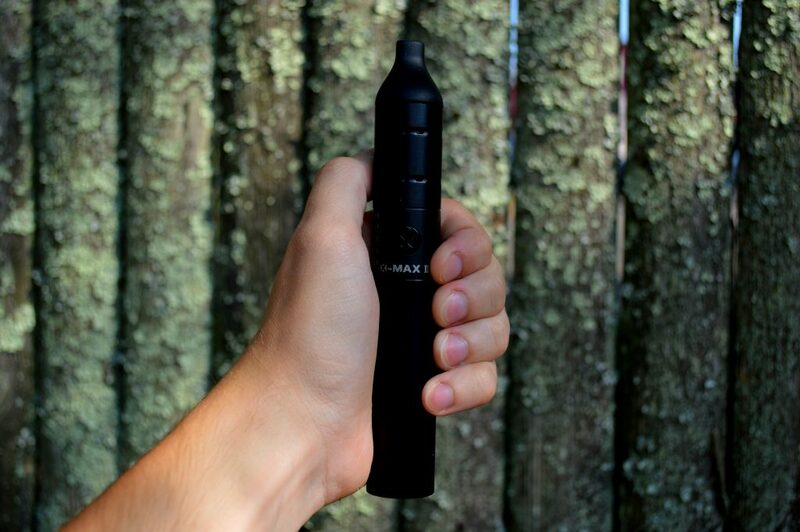 The X-MAX v2 Pro is a large pen style portable vaporizer. From a photo it may appear on the smaller side, but do not be fooled, this thing is huge and I mean it. Easily 3x as big as a typical pen style e-cigarette. This is not a bad thing though, just don’t be surprised if it’s larger than you think. 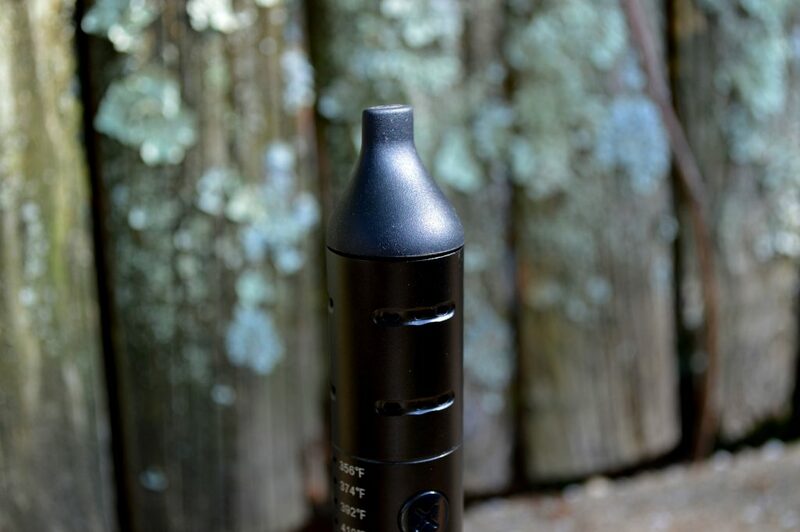 What sets the X-MAX V2 Pro apart from other offerings on the market is its low price point and great vapor production. If you’re looking for a cheap vaporizer that delivers a good amount of vapor, this is a great option. The oven capacity and efficiency section is going to break down how much material you can comfortably load into the oven, and once it is loaded how efficiently the device will vaporize your material. The X-MAX v2 Pro uses a ceramic oven to vaporize your material via conduction heating. The ceramic oven of the X-Max V2 Pro is relatively large, coming in with an oven capacity of about .2-.3 grams of ground flower. In general, I got the best results with a full oven and was pretty let down with the results I got when I didn’t load a full oven. 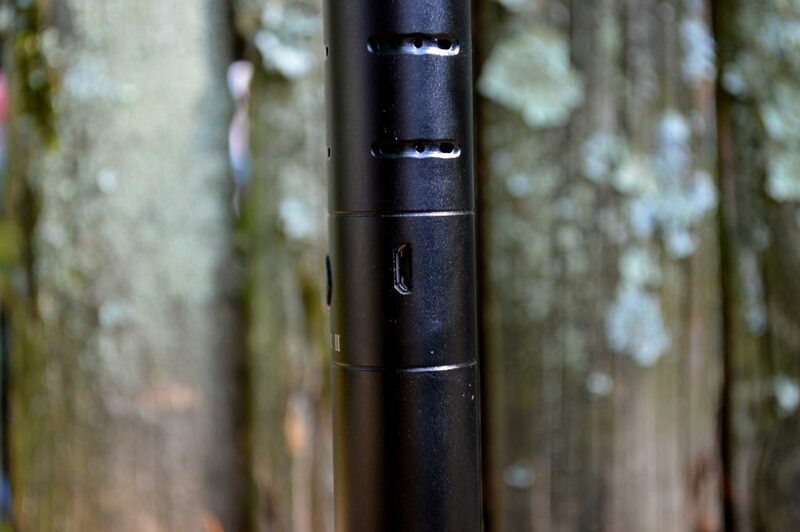 Like most other conduction vaporizers, it makes sense to load the oven entirely for optimal vapor production. 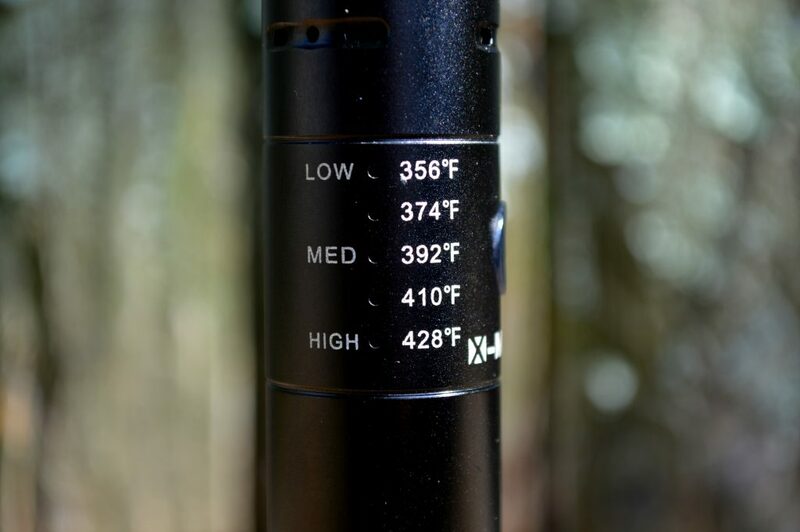 I found the X-MAX V2 Pro to efficiently use my material when I cycled through the temperature settings. Starting low and going up through the settings provides for a great experience and leaves your material devoid of most active material. I didn’t find it necessary to stir this vape when I packed the oven fully. To be honest, I’m not the biggest fan of short vapor paths like the one on the X-Max V2 Pro. 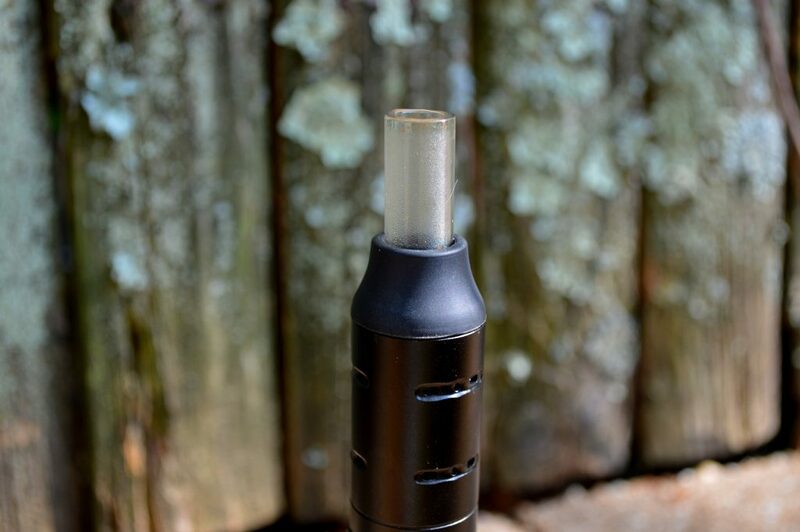 The vapor path starts with the ceramic oven and immediately leads to your choice of a silicone mouthpiece or a glass and silicone mouthpiece. There isn’t much time for the vapor to cool down and this creates kind of uncomfortable vapor once you go past 392F. As we just briefly stated, you do have a choice between two different mouthpieces. There is a silicone one and a “glass” mouthpiece. They’re more or less the same regarding flavor, and the only difference is what you like to rest your lips on. 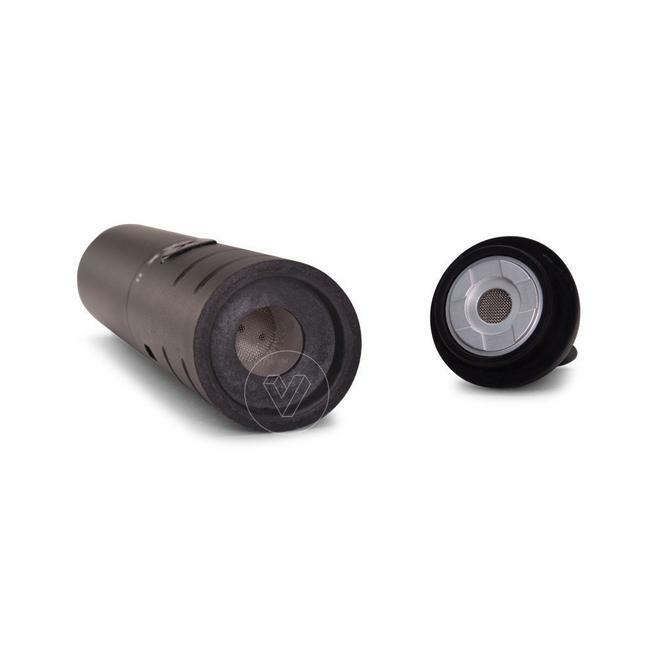 I liked the glass one, but given the seal that connects it to the vape is the same silicone material as the other mouthpiece, I don’t think there are many benefits in using one over the other. The air path doesn’t seem to pass over any foul tasting electronics or gaskets, which is a good thing. Like any low-cost vaporizer, I would highly recommend cycling the highest temperature setting a few times before actually using the vape. This burn off will allow the heat to burn off anything left over from the manufacturing process. We’re looking at vapor production, flavor, and smoothness when looking at vapor quality. Each one of those factors has a significant impact on the overall experience a vaporizer offers. For starters, vapor production with the X-Max V2 Pro is fantastic. Great vapor production is a typical trait of conduction vapes. They tend to produce large clouds. 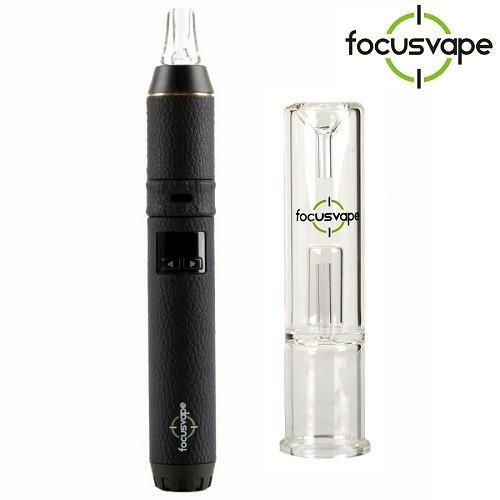 What makes this vape special is that it’s delivering a significant amount of vapor at a low cost when compared to other vaporizers on the market. The vapor production is so good that it’s enjoyable to use with a water pipe as well. 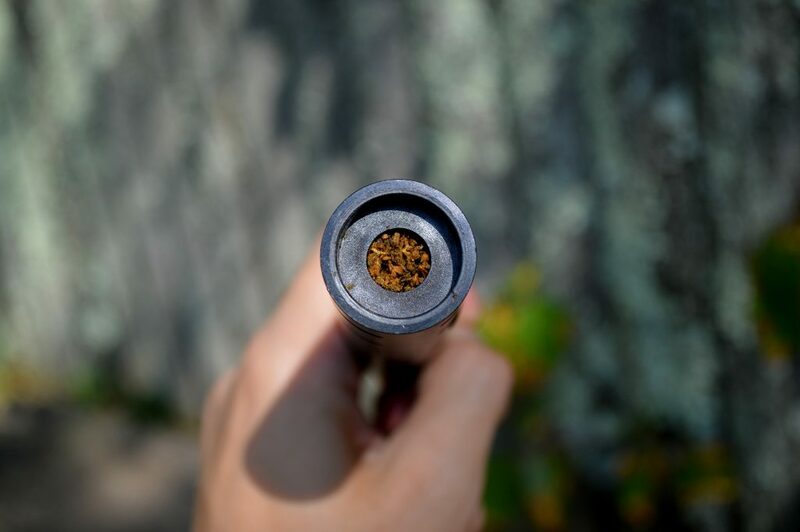 Set the device to the highest temperature setting, and from there the glass mouthpiece of the X-MAX V2 Pro will natively seal a 14mm female joint on a water pipe. 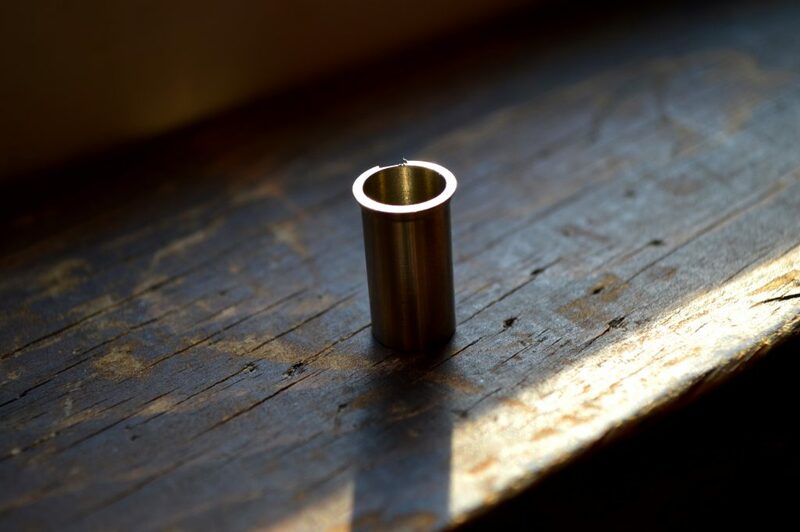 If you already have a water pipe that has a 14mm female joint, you won’t need anything else to make the setup work. I like pairing the X-Max V2 Pro with my oil rigs for added filtration and comfort at the higher temperature settings. Flavor isn’t anything to write home about. It’s okay at first, but the flavor quickly transitions to the stereotypical burnt popcorn flavor that is common among lower end vapes. The flavor isn’t off-putting or anything, but it isn’t a vaporizer I would use if I am trying to experience the truest representation of an herbs flavor. With that being said, I actually wouldn’t assume you’re looking for that if you’re looking for a budget device in the first place. I found the vapor to be very enjoyable and smooth when at temperature levels 3 and below. Temperature levels 4 and 5 I found to be a little too hot and scratchy on the throat for my enjoyment without water filtration. This unit also does concentrates, but overall I was very let down with the experience. 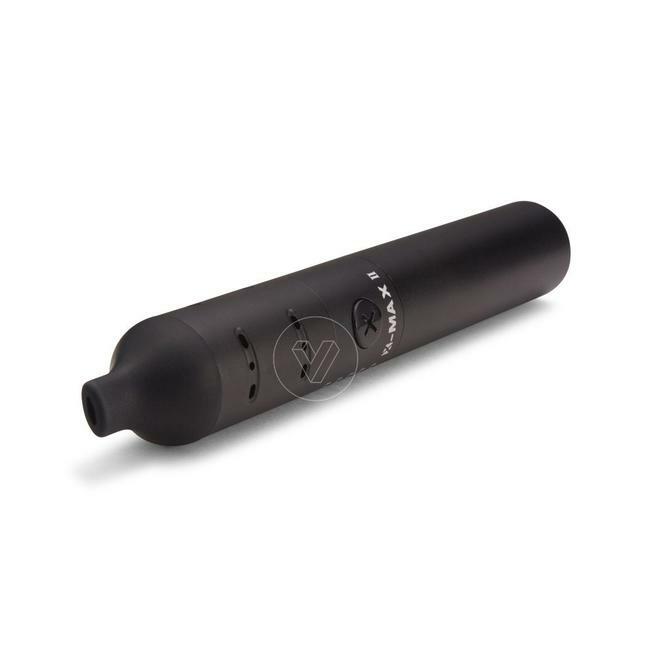 The X-MAX V2 Pro uses little concentrate bullets for vaporizing different kinds of melty concentrates. The concentrates melt into a cotton fiber, and this creates a less than stellar flavor in my opinion. Vapor production is also very insignificant when using concentrates even at the highest setting. Overall, I feel this vape wasn’t designed with concentrates in mind, and I feel it was mostly an afterthought. It doesn’t work well, and I would recommend getting a dedicated concentrate device over using this as I feel it is a waste of your material. I only recommend using this vaporizer with dry herbs! Overall, it’s hard to complain about this vaporizers vapor quality when you factor in the very low cost. Not many vaporizers are coming in at under $100, and not many that perform like this. Powering on the unit is pretty simple, just tap the power button five times to power on the device. The 5 LED’s on the side of the device will all glow, and then one LED will glow. This single LED will tell you your current battery level from 1-5. 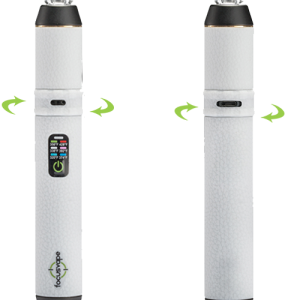 After you have powered on the vape, you can press and hold the power button for 2 seconds to cycle to the next temperature setting. The fact you’re offered with five different heat settings in this price range is great in my opinion. You have a great amount of flexibility with how you want to vape without spending too much money. Something I’m not too big on is the fact that all of the control is done with just the power button. This makes sense on small e-cig batteries, but a full sized device I would rather have dedicated temperature control buttons. Clicking the button and then holding it to change temperature is rather unintuitive in my opinion. In this section, we’re looking at how easy the vape is to transport and how well the unit is constructed and feels in the hand. For starters, the X-MAX V2 Pro feels outstanding in the hands, especially for the price. The exterior finish feels like aluminum; it’s possible it could be something similar, but that is my best guess as to what it is. There is a bit of weight to the device, but overall it is about average when compared to portables like the Haze V3, and Firefly 2. The design resembles a pen e-cig, but much larger. Its form factor makes it a breeze to slip into virtually any regular sized pocket or bag. 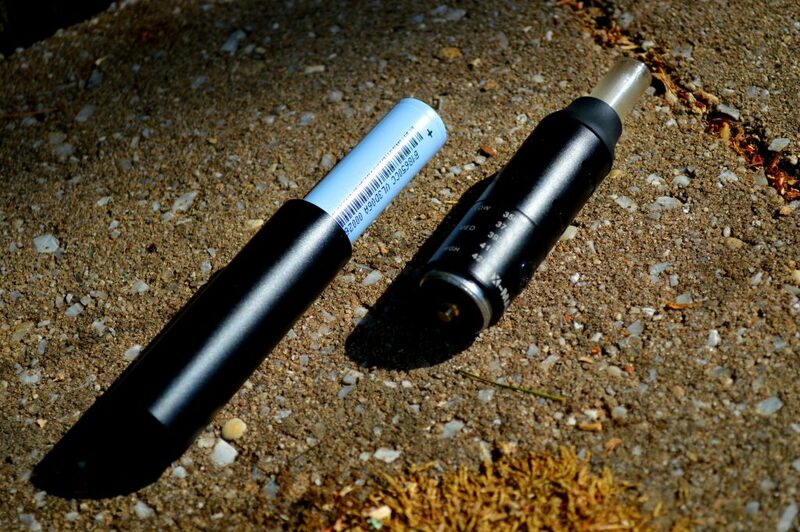 Since it is bigger than a typical pen style e-cig, it may draw unnecessary attention due to its large size if you try using this vape in public. 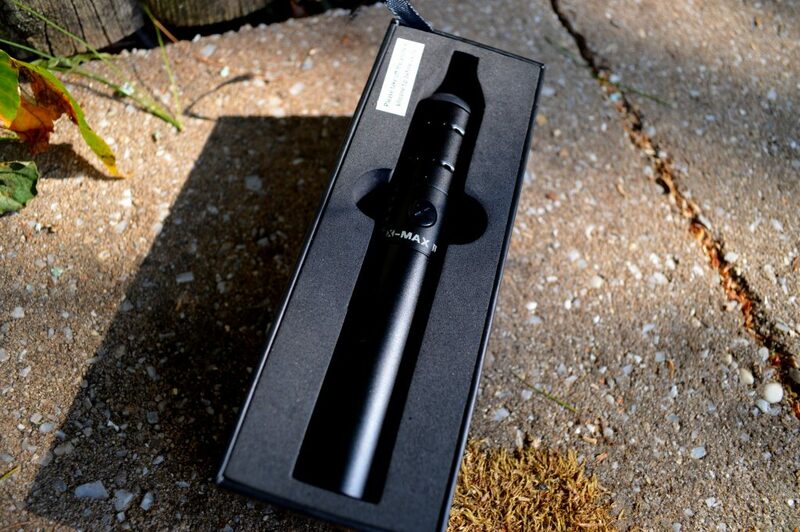 So, be mindful of your surroundings and be careful as you would when using any other vaporizer in public. What we’re looking at here is how long the battery will last, is the battery replaceable, and the charging system. To start with, the X-MAX V2 Pro uses replaceable 18650 batteries for power. Having replaceable batteries is a fantastic feature for a budget device. What this means is that you can replace the batteries in your unit for a number of reasons. Batteries die over time, they begin not to hold a charge as long, and their operation time starts to degrade. If you can’t replace the battery yourself, that means you either have to send your vape in for servicing, or you may have to bite the bullet and a buy new one altogether. Being able to replace the battery yourself gives you a lot of flexibility with your device and extends its overall life. You can pick up a couple of compatible 18650 batteries and get an external charger to charge them all. What this would allow you to do effectively is hot swap batteries when they die. If you have a bay of 4 batteries always charging, you’ll never be left with a dead vape, which can happen since this vape doesn’t support pass-through charging. Out of the box, the X-MAX V2 Pro is simply charged with a micro USB cable which can be plugged into a USB port or the included power adapter for charging. I found I got about 45-60 minutes of actual usage from a battery, and I found with the included micro USB cable and wall wart that it took about 2 hours to recharge the battery fully. Not the fastest charger, but this is about average for most portable vaporizers on the market. The X-MAX V2 Pro has a 6 month manufacturer warranty covering flaws or defects in the materials or workmanship of the device. 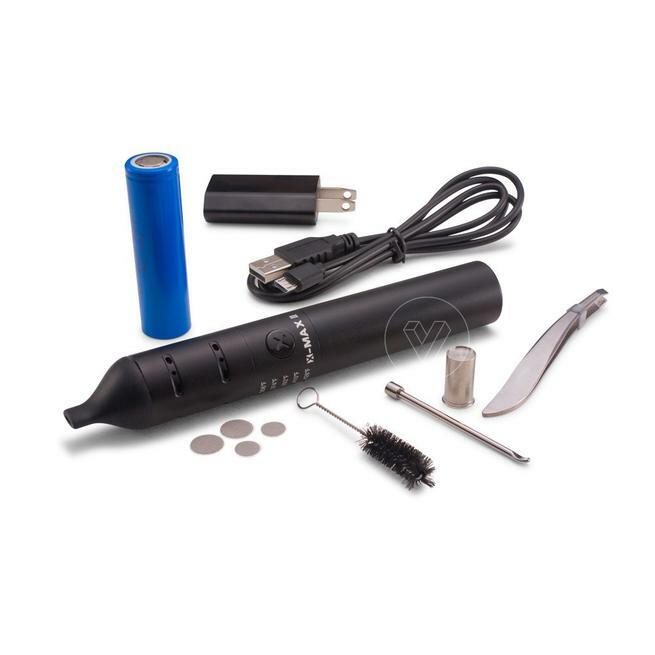 The warranty doesn’t cover the buttons, batteries or other parts of the vape that are subject to normal wear and tear. I would say the warranty isn’t bad given its price and the fact that the batteries are replaceable, but I would like to see a longer warranty. To summarize the review, we’re going to break down the pros and cons of this vape to highlight both the good and the not so good. 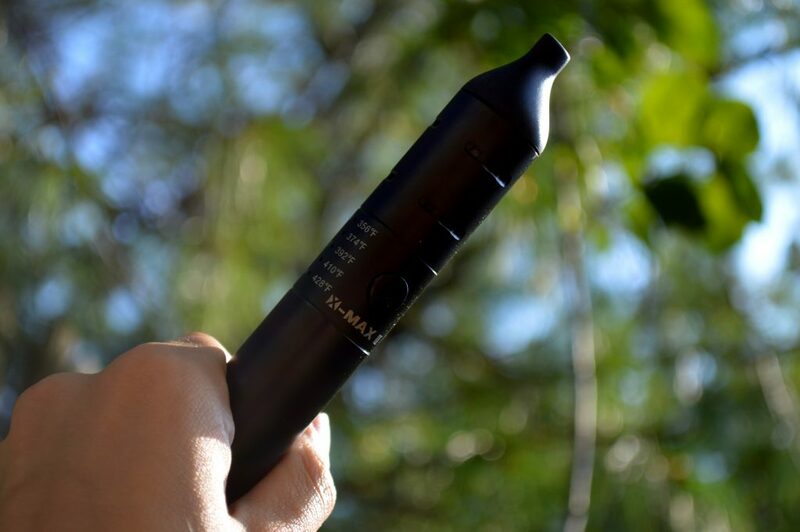 Overall, the X-MAX V2 Pro is one of my top picks for a budget portable vaporizer. It isn’t my favorite vaporizer, but it’s a great performer for its current price point and offers a lot of features. I would only recommend this vape to someone who is strictly looking to vape dry herbs, and is restricted to below a $100 budget. If you can spend a little more money, personally I would spring for something like the Arizer Air, Boundless CF, or the Lotus (if you’re willing to get over a learning curve with the Lotus). The X-Max V2 Pro is a great starter vape that won’t disappoint someone who is new to vaping and on a tight budget, which is the person I would recommend this vape to.